Spread across the Four Corners region of the American Southwest, the Navajo Nation is home to up to 175,000 members of the Navajo Tribe. Tribal members live scattered across more than 27,000 square miles of land stretching from northeast Arizona to northwest New Mexico to southeast Utah. It’s a place where many roads have never been paved, many buildings don’t have a formal postal address and thousands of families remain cut off from the electrical grid. At least 60 percent of homes don’t have landline telephone service even though wireless signals are often spotty or nonexistent. The 911 system often cannot track where people are calling from during an emergency. And high-speed Internet access has been almost entirely unavailable. Data from the National Broadband Map, which is maintained by NTIA in collaboration with the Federal Communications Commission, show that less than 4 percent of the population living in Navajo Nation territory has access to even the most basic wireline broadband speeds of 3 megabits per second downstream. But with a $32 million grant from NTIA’s Broadband Technology Opportunities Program (BTOP), the Navajo Tribal Utility Authority is bringing a modern wireless communications system to a region that has been all too frequently bypassed by amenities that most Americans take for granted. Established in 1959 to deliver basic utility services, the Navajo Tribal Utility Authority today is one of the largest utilities owned and operated by an American Indian tribe. It provides water, sewage, electricity, natural gas, solar power and communications services to tens of thousands of customers across the Navajo Nation. And now the Navajo Tribal Utility Authority is signing up its first customers for a new 4G LTE wireless broadband network funded largely by the federal government. Covering 15,000 square miles, the new network consists of 59 wireless towers, 43 base stations, 60 microwave links, 550 miles of fiber and 20 miles of fiber or microwave connections into buildings. BTOP paid for much of that infrastructure, as well as a leased fiber-optic connection that runs 180 miles from the edge of the Navajo Nation in Farmington, N.M., to Albuquerque - linking the entire system to the Internet. Working with wireless partner Commnet, the Navajo Tribal Utility Authority is offering wireless voice and data services for residential customers at speeds of up to three megabits per second. Customers can sign up for mobile access, as well as a fixed-wireless service that plugs into a home computer. The utility is also connecting local schools, hospitals and other anchor institutions, including 49 tribal “chapter houses,” at speeds of up to 10 gigabits per second. 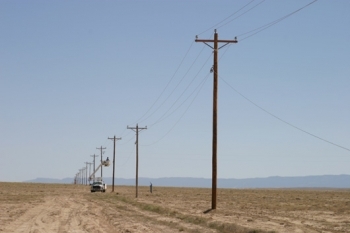 Walter Haase, general manager of the Navajo Tribal Utility Authority, says the wireless broadband network “opens up a whole new set of opportunities that don’t exist today” for the Navajo Nation. Medical specialists located on Navajo territory and beyond will be able to consult electronically with patients living in remote corners of the region. Local schools will be able to live stream Web video and other educational resources from the Internet to supplement the existing curriculum. College students will be able to take online classes and connect with professors at major universities without leaving their ancestral homeland. And tribal members will be able to set up online businesses or telework instead of having to travel long distances to get to a job. Eventually, Haase says, the Navajo Tribal Utility Authority hopes to interconnect the wireless broadband network with smart grid meters serving its residential electricity customers in order to set up a 911 system that will know automatically where someone is calling from in an emergency. 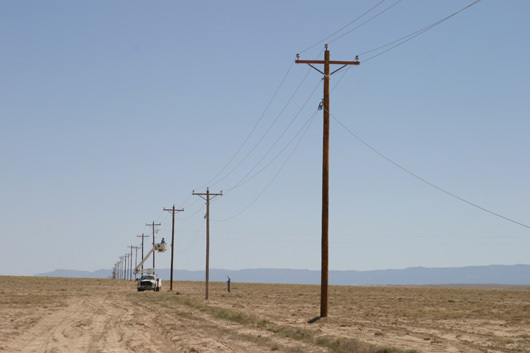 Altogether, NTIA’s Broadband Technology Opportunities Program has invested in more than 50 projects that are benefiting tribes by building networks in parts of Indian Country that have historically lacked adequate telecommunications infrastructure. NTIA has also funded public computer centers, digital literacy classes and one-on-one Internet training programs in a number of Native American communities. Some of the federal awards went directly to tribes themselves, including the Ute Indian Tribe in Utah, the Nez Perce Tribe in Idaho, the Pyramid Lake Paiute Tribe in Nevada and the Saint Regis Mohawk Tribe in Upstate New York. Others went to tribal institutions such as the College of Menominee Nation in Wisconsin and, of course, the Navajo Tribal Utility Authority. The push to close the digital divide in Indian Country – which includes some of the most remote reaches of the nation - is no easy task. National Broadband Map data show that only 54 percent of the population in Indian Country has access to basic wireline broadband speeds of 3 megabits per second downstream. That compares with 94 percent of the U.S. population as a whole. And only half of Indian Country population has access to 6-megabit wireless speeds, compared with 91 percent of the population as a whole. But with support from the Broadband Technology Opportunities Program, these federally funded projects are helping to narrow the gap and ensure that tribal communities can share in the benefits and opportunities brought by the Internet.